Some users say that theirs Bluetooth can’t start or can’t search for Bluetooth devices, some can ‘t find the Bluetooth services or fails to connect, easy to disconnect, etc, through data collection and remote assistance, finally we found that all this problems derived from the poor quality of the Bluetooth adapter. 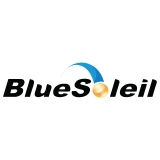 BlueSoleil software will try to support dongles as much as possible . To get a better Bluetooth experience, please try to use our Bluetooth adapter which have a better compatibility with BlueSoleil . we have tested a variety of mobile phones and more than one hundred headphones, Through this high-intensity test ,wecan ensure that our software and dongles have the maximum compatibility. Bluetooth (Bluetooth) is a kind of wireless network transmission technology, originally used to replace the iR. Compared with the infrared technology, without alignment bluetooth can transmit data, the transmission distance is less than 10 meters (infrared can transmit a few meters).With the help of signal amplifier, communication distance can reach 100 meters. Bluetooth technology is very suitable for low power consumption digital device to share data, such as mobile phone, PDA, etc. Bluetooth devices can transmit voice, image, video, etc., such as bluetooth headset. .The widely used mature versions in bluetooth profile is 1.1, 2.0, 2.1, 3.0, 4.0, the bandwidth is about 1 m - 24 Mbps (The interface bandwidth USB 1.1 is 12 Mbps, The interface bandwidth USB 2.0 is 480 Mbps, the bandwidth of LAN is 10 MBPS / 100 MBPS/1000 MBPS, the bandwidth of firewire IEEE1394 is 400 Mbps. So, bluetooth is very suitable for transfer small files (pictures, ringtones, e-books, transcripts which below 10 MB), both convenience and efficient. The latest version is 4.0 + EDR. Bluetooth devices usually used to transmit data with the computer, such as you can transfer the pictures, videos, ringtones and other resources to the phone via Bluetooth ,you also can transfer multimedia resources to PSP, MP4 and other digital product. So exactly how can a computer establish a connection with these products via Bluetooth ? A small Bluetooth adapter, install it in your computer in order to complete the connection work for Bluetooth transmission . To establish connection between Computer and Bluetooth device ,you must buy a Bluetooth adapter , even if some laptop have Built-in blutooth, but also because of its built-in Bluetooth adapter. Bluetooth adapter is a interface converter for a variety of digital products can be applied to a Bluetooth device . Substantially ,it is a USB interface, plug and play, : the USB Bluetooth adapter. Bluetooth adapter with a universal short-range wireless connectivity technology that uses microwave , remote control and some 2.4GHzradio spectrum, in order to avoid a number of interfere caused by electronic devices in this band , blutooth have one thousand six hundred higher difficulty frequency hopping and Encrypt confidential technology. 8. SMS Contact Management – (Edit / send SMS and manage phone contacts via the computer) . 11. VoIP telephone support - you can automatically answer skype calls via Bluetooth headset. 12. Mobile Assistant thousand months – call somebody on your computer, transfer files between computers and mobile phones , cell phones and mobile phones, computers and computer. There are some obvious advantages of data transmission by using bluetooth adapter,it is much smaller than the traditional infrared adapter, good-looking appearance and more convenient to carry. If the quality of your adapter is not very good, you will encounter some problems in the process of using it. 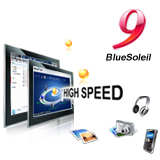 1) Can not find your device, BlueSoleil prompts "unable to search for Bluetooth devices." 2) search for the device, but can ‘t pair. 3)have been pairred , but can’t search service. 4) have been searched service, but it is not easy to access. 5) After a successful connection, it appears intermittently. Sound Card, distortion, delay and so on, and it may also occur automatically disconnect phenomenon. 6) when using a long time, the RF transmission will be abnormal. 1. whether your Bluetooth adapter version is lower than (1.0, 2.0), if you do not know the version of the adapter, please right-click the Bluetooth icon in the taskbar, select "My Device Properties" or right-click the sun, choose "Properties" select "Hardware." 3. Low price bluetooth adapter price, about 10-30 Yuan. Bluetooth software. By analyzing the data and related phenomena presented by the customer, we found that most of the problem occurred derive from the unstable or low-cost version of Bluetooth adapter, it is more likely lead to a variety of problems. 1. Buy big manufacturer chip products, such as CSR, ISSC, jaguar, etc. CSR Bluetooth adapter with single chip has high reliability, good compatibility, low power consumption. It is very critical to select a core chop for a Bluetooth adapter .We have 15 years experence in the bluetooth world, through several years of testing we found that the CSR is the most stabile bluetooth chip .Single chip products in compatibility is better than dual chip. 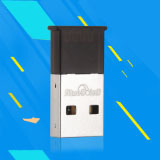 Single chip bluetooth products is more stable, low power consumption functions, only a few companies such as CSR, TI ,otc, have the ability to do it. 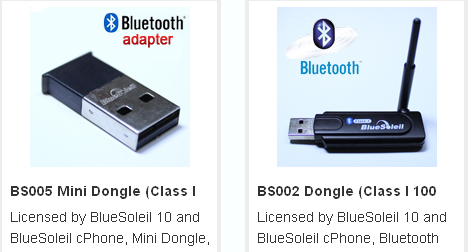 To Choose a single core chip bluetooth adapter, you better to buy the fourth generation bluetooth products which based on CSR (Cambridge silicon radio technology company) ,our bluetooth adapter is CSR chip, variety, meet your various needs, we recommend you to use BlueSoleil’s adapter . 2. Why the same shape bluetooth adapter, the price is different? Adapter components, such as the core chip, PCB, crystal vibration, power IC, filter, address code and so on. 3.Why the versions of the bluetooth adapter are all 2.1 and 4.0, but the price is different? The same type of product can divided into three grade, low, medium, and high,.The price also has difference, there are some diffirence in workmanship, packaging, and some tiny little internal components of the lower part of product , the medium product is relatively fine, the internal small components may cost higher , the same is true with high-grade .Coupled with the high quality needs through a variety of CE, FCC and bluetooth BQB certification, this thing are very expensive, too .So, you get what you pay for, I hope you when choose the bluetooth adapters ,you can select according to your own situation, buy a products suitable for your own. 4. what's the difference between Bluetooth 2.0, 2.0, 2.1 with 4.0? 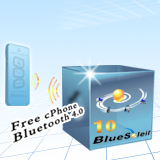 Until July 2010, there are six versions in bluetooth V1.1/1.2/2.0/4.0/2.1/3.0). According to the communication distance ,it can be divided into Class A (1)/(2) Class B. 1.1，the earlest version, transfer rate in 748 ~ 810 Kb/s, because of early design, susceptible to interference by the same frequency product, so the quality of communication will be affected. 1.2, transfer rate in 748 ~ 810 Kb/s, added in the anti-interference function of frequency hopping. 2.0, the improved version of 1.2, transfer rate around 1.8 M/s ~ 2.1 M/s, duplex way of working. It can realize voice communication, at the same time it can transfer files/high quality image, of course, it also support Stereo operation. In order to improve the problems of Bluetooth technology, Bluetooth SIG Group (Special Interest Group) launched the Bluetooth 2.1 + EDR. Improve the pairing process of the device: when pairing with other hardware , you will encounter many problems , whether it is a single pair , or permanent , the pairing process is too complicated and necessary operations is too cumbersome .During the connection process it is usually requires personal identification code to ensure security of the connection In the past , the improved way of connection is automatically paired using the numeric password. In Short distance pairing, it also have NFC (Near Field Communication) mechanism when Bluetooth-enabled phone paired with another and transfer information. NFC is a short-range wireless RFID technology, on-line application for a short distance of 1 to 2 meters, based on electromagnetic waves, instead of traditional radio transmission. Since NFC controls the pairing mechanism of start detection, when the two devices within the transmission range, simply click Whether to accept online or not on the phone. However, in order to use NFC, the system must be built-in NFC chip or have the relevant hardware features. A better power-saving effect: bluetooth version 2.1 has been added to Sniff Subrating function, by setting the sending interval of mutual confirmation signal between two devices to achieve the purpose of saving power consumption. In general, when the connected bluetooth device enter in standby mode, bluetooth device need to determine whether they are still in online through a call to each other , of course, the bluetooth chip must always be in working state, even if the other components of the phone are all already in sleep mode. In order to improve such situation, bluetooth 2.1 change the sending interval time of mutual confirmation signal between two devices from 0.1 seconds to 0.5 seconds, it can make the bluetooth chip workload reduced greatly, also can let the bluetooth have more time to completely dormant .According to the official report, after using this technique, the standby time of the bluetooth device can effectively extend more than 5 times. (only when both ends of equipment support Bluetooth v2.1, the new function can be shown). Bluetooth 3.0: the core is "Generic MAC/Alternate PHY" (AMP), which is a kind of brand-new alternating radio frequency technology, allows the bluetooth protocol stack dynamically select the correct radio frequency for any task. The transmission rate will be higher, and the secret is on the 802.11 wireless protocol. By integrating the "802.11 PAL" (Protocol adaptation layer), bluetooth 3.0 data transfer rate increased to about 24 megabits per second (you can call 802.11 wi-fi when you need to get high-speed data transmission).On the transmission speed, bluetooth 3.0 is eight times to the bluetooth 2.0, can be easily used to transmit data in video recorder to the high-definition TV, PC to the PMP, UMPC to printer. In terms of power, transmit a large amounts of data in high speed via bluetooth 3.0 will consume more energy, but since the introduction of the enhancement mechanism of power control (EPC), along with 802.11,the actual idle power consumption will be significantly reduce, the standby power consumption of the bluetooth device is expected to get a preliminary solution. But please note that it need 802.11,actually it is a Wifi connection, so if there is no Wifi connection, the core role of the bluetooth 3.0 can't be shown, it can only play the effect of the bluetooth 2.1. Bluetooth 4.0: includes three sub standard, the traditional bluetooth technology, high speed bluetooth and the low energy bluetooth technology. First ,bluetooth 4.0 inherited all the inherent advantages of the bluetooth wireless connections, at the same time increased the characteristics of high-speed and low energy . Low-power bluetooth technology will provides a new opportunity for the market of health care, sports and fitness, security and home entertainment, which based on the wireless products and sensor that used small button batteries, further expand health care, sports and fitness, security and home entertainment . Bluetooth 4.0 improvements mainly reflected in three aspects, battery life, energy saving and equipment types .With low cost, cross-vendor interoperability, low latency of 3 milliseconds 、dual mode compatible with bluetooth 2.1, AES - 128 encryption, and many other features. The emergence of bluetooth 4.0, let all devices intellectualization become a reality, intelligent electronic scale, smart container, smart fridge concepts come to the surface. In order to get a good compatibility with BlueSoleil , please go to BlueSoleil website to buy bluetooth adapter or related bluetooth products, it can avoid a series of problems .Believe that BlueSoleil will bring you a better experience of bluetooth or wireless experience.